JCSC is proud to be able to offer the Duke of Edinburgh Award programme and prides itself on being one of the cheapest centres in the region. At JCSC, the Duke of Edinburgh Award (DofE) is run by Mr. Anderson and Mr. Armstrong; however, a lot more of our school staff are involved in various aspects of the Award process. The DofE award is open to anyone aged between 14 and 24, and consists of three levels – Bronze, Silver and Gold. Each award is achieved by completing a personal program of activities within four different sections – ‘Volunteering’, ‘Physical’, ‘Skills’ and ‘Expedition’. The Gold award also includes a ‘Residential’ element. The award can be personalised to include a wide variety of activities and projects. Most people will find themselves helping people or communities, developing new skills, and improving their fitness as part of the DofE award. What is more, students can gain credit for activities they are probably already doing. The experience is a real adventure full of different aspects that are both challenging and fun. As well as discovering new skills, talents and making new friends, the experience also builds confidence and helps to prepare young people for university or working life. The DofE award will arm you with skills such as self-management, problem solving, team working and communication; all of which are highly desirable skills that employers look for in candidates. Achieving the DofE award, particularly at Gold level, is also of great benefit to anyone going through the UCAS process and applying for universities. The achievement is recognised worldwide and well respected by employers and universities alike. How do I sign up for the DofE Award? 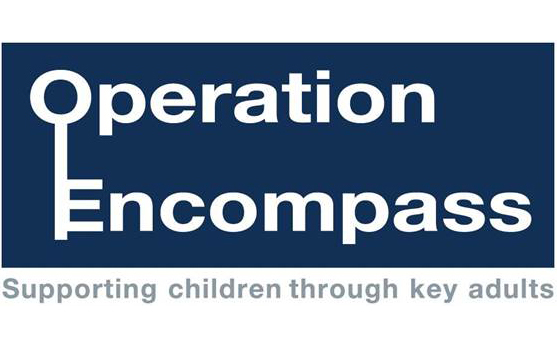 The award is available to all and JCSC is committed to supporting any young person in achieving their award. Students will be presented with an opportunity to sign up for the award during the first half term of the academic year. Students are required to attend training sessions for their expedition section. These sessions will train the students in first aid, navigation and camp craft. All training sessions run afterschool from 3:30pm – 4:30pm [5:30pm for the Gold Award] starting in the Spring term. Exclusively For year 7 at Acklington Road every Thursday 3:30pm – 4:30pm Throughout the year. DT allows students to increase students engagement with Design and Technology as well as improve confidence and skills to support lesson progress. This club gives students the opportunity to work at the high school and use the amazing facilities we have here on site with the department from the 3D printer and CNC machines to traditional machinery to produce hand crafted products made in the workshop. Monday: Exclusively for years 10 from 3.10 – 4pm, and then exclusive to year 11 from 4pm – 5pm. Thursday – open to all year groups. Art club runs throughout the year, and is a fantastic opportunity for students to gain access to the fantastic array of artists materials and resources, where students can develop their creative skills and experiment with new media, while also increasing their independence and making exceptional progress within their own art projects. A writing group runs every Wednesday lunch time for Y9 and Y10 students – but all years are welcome. All students need is a passion for writing and a pen! Students get a chance to explore a range of writing types and challenges which they then workshop. This builds confidence, both in writing and in presenting work. Students also get the chance to critique other peoples’ work and develop their own writing challenges which the rest of the group participate in. Most of these students enjoy it so much they end up signing up for the Arvon creative writing residential! The Interact club runs at lunchtime every other Tuesday. Students interested should see Mrs Parks for more information. This is open to all year groups from 9 to 13. Last year, we were delighted that 65 of our Year 7&8 students completed their Bronze Crest award. Two of our year 13 students completed their exclusive Crest Gold award during a summer university placement, organised by the Nuffield foundation. Both were invited to participate in this programme after a selection process. The CREST Awards scheme is the British Science Association’s flagship programme for young people. Around 40,000 students in the UK gain CREST Awards every year. It is the only nationally recognised accreditation scheme for STEM project work (science, technology, engineering and mathematics) subjects, providing science enrichment activities to inspire and engage 5-to-19-year olds. What does Crest do for our students? CREST gives our students the chance to participate in hands-on science through investigations and enquiry-based learning, supporting them to solve real-life science-based challenges through practical investigation and discussion. It also develops our students practical and investigatory skills in readiness for their GCSE Science course. Our Crest programme for this year will commence in the Spring term and run through to the Summer term. Students will be selected in Year 7 and 8. We are currently looking into the opportunity for some Year 9 students to complete their Silver Crest award. Mrs Old manages our Crest programme. Break and Lunch club are ran every day during Break and lunch club, This is for students that prefer to spend their time in a smaller / quieter environment, features include games and reading rooms, TV room and a study room. Students from all year groups are welcome to come and practise their badminton skills through game play. There are a variety of ages and skill level so everyone can get involved. There is no sign up needed, just turn up and play! Runs all year round 3.10pm- 4pm. Students from all year groups are welcome to come along to Netball Club. We practice passing, shooting and set drills as well as playing games. Runs from September to October 3.10pm – 4pm. Code Club is a nationwide network of volunteer-led after school coding clubs for children aged 9-11. The projects teach children how to program by showing them how to make computer games, animations and websites, giving them the skills, confidence and opportunity to shape their world. Students will progress and learn more whilst at the same time using their imaginations and making creative projects. Code Club uses Scratch to teach the basics of programming. Also taught are the basics of web development using HTML and CSS. 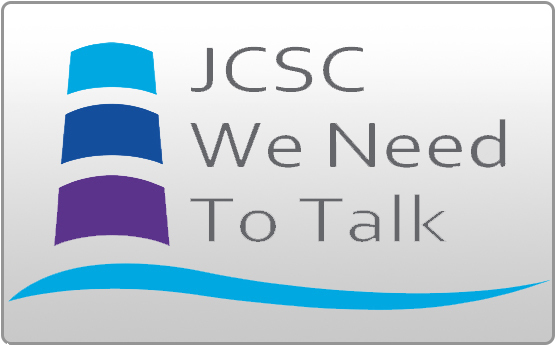 The club will be held at the JCSC South Avenue site weekly every Tuesday during term time from 3.10pm-4.10pm with the first club meeting on the 25th September 2018. The English department run English GCSE revision for Year 11 every Thursday after school from 3.15pm-4pm following the October half term. All Year 11 students are invited to the sessions. These sessions are designed support their learning in English lessons and prepare them for the end of year examinations. Throughout the sessions, students will cover all key skills and content needed for their GCSE examinations for English Literature and English Language. Year 11 science revision classes occur every Tuesday evening from 15:10 to 15.55. All students should attend in order to prepare for their forthcoming exams in May. Revision classes will continue until the last science GCSE exam in June.